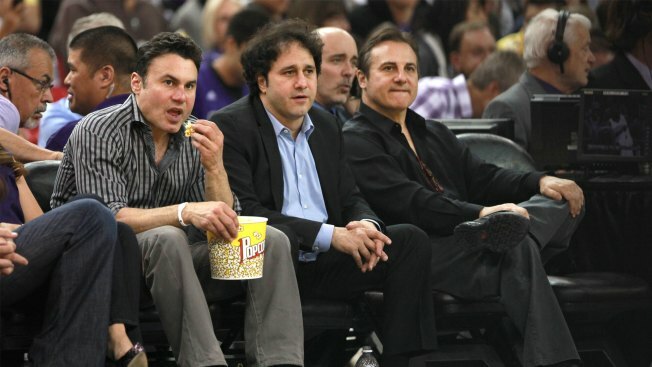 Gavin and Joe Maloof have gambled plenty in their lives, which is in part how they ended up losing the Sacramento Kings. They ran big, they hit a dry well, and they ended up selling the works. So their decision to bet $880,000 on Floyd Mayweather in his "thing" with Conor McGregor for a $160,000 payout seemed the perfectly daft idea for two guys who were painted as perfectly daft when they were running the Kings and their other businesses into a freeway abutment on I-80. In fairness, they are planning to donate their winnings to a number of charities in the name of their hangover drink (Never Too Hungover, although I might have gone with the more lyrical HurlNoMore), so it's not like their hearts aren't a place close to the mythical "right place." But it does beg the question, "Why don't they just give $160,000 and skip the scam?" Because it wasn't about charity, it was about promotion, and while there's nothing wrong with promotion, attaching it to one of the seediest carnival events of the modern era makes it seem, well, kind of creepy. Or maybe "creepy" is too strong. Maybe's it's just opportunism, which is more, well, Vegas-y. Kings fans will remember the Maloofs as the family that saved the foundering team from the clutches of owner Jim Thomas, and then remember them as the family whose clutches Vivek Ranadive had to save the team from 15 years later. It's the nature of most ownerships – you do good to eliminate a prior evil, and eventually become evil yourselves when the fans turn on you. But the Maloofs aren't evil – even their most strident critics will say that. They just saw an opportunity to scratch a bunch of itches at once – good-heartedness, advertising, gambling and Vegas' most important product – selling you things you could never imagine wanting. It almost makes you wonder if they harbor a secret itch to take the $160,000 and double down on behalf of the charities for another of their pet projects – the Vegas Golden Knights. If they put it on the Knights to win the Stanley Cup at 200-1, that's $32,000,000. Then if they took that and . . .
. . . and before you know it, they're trapped in the fantasyland of Las Vegas at its weirdest. Maybe it's just performance art with more money than most of us can eat.